Conscious Giving and Random Acts of Kindness Ideas – Notes in Library Books! OH OH OH OH!!! I just thought of a AWESOME idea that costs practically nothing to do. 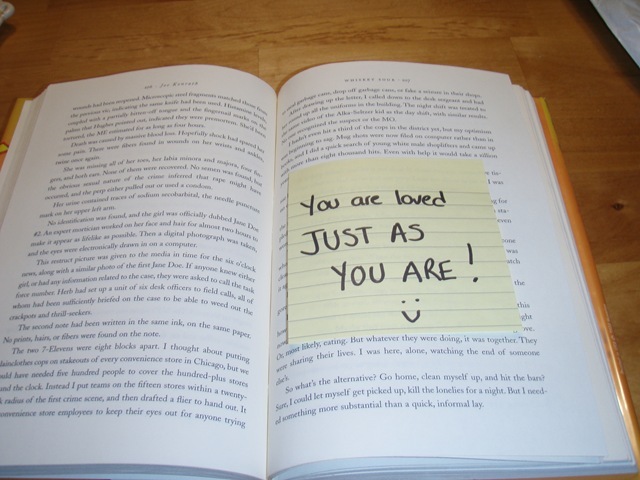 Put random kindness notes in books in your local library! 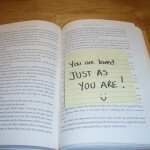 Imagine how nice it would make you feel if you opened up a library book that contained a positive affirmation! Especially if you are a child or teen, our young people really need support. Let’s do this! I would love to see pictures on here of anyone who wants to complete this acts of kindness, and don’t forget to hashtag our movement … #consciousgiving so we can get the word out! Never underestimate the power of even the smallest act of conscious giving, or random act of kindness. It DOES make a difference!